The purpose of the author of the novel was to show the world of adults through the mind of the child. The writer succeeds in it since children are the main characters of the novel. For the first time, children think about how life is arranged; they understand that some people are all-powerful, while others are disenfranchised, that apparent lies are stronger than obvious truth. With the help of children’s perception of the adult world in certain difficult situations, the author characterizes the social mood in the US, shows that the conception of "justice" is violated and the significance of this notion is lost. In the 1930s, the concept of "justice" in a real, living environment was in the contradiction with the reality and with the desire to adhere to this notion. 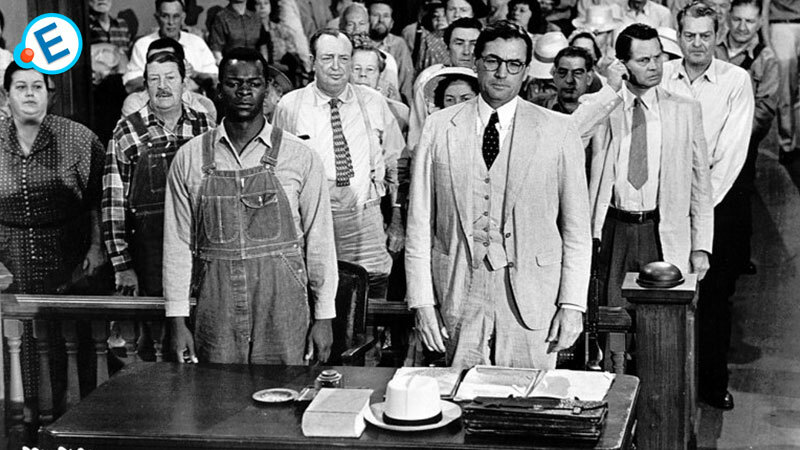 "To Kill a Mockingbird" is a very American novel not only because it is about a dark-skinned man unjustly accused of violence over a white woman and it directly raises the eternal racial question. It is a very American novel because of its problems, ideas, and the main theme. Striving for justice and equality is the most persistent American national ideal. An investigation of the image of an American, a fighter for rights and freedoms, contributes to deeper penetration into the nature of the American society, which has contradictions, such as a simultaneous presence and lack of justice. The first part of the novel tells about the very beginning of this story. The focus is on children and their lives. The main character of the book is a little eight-year-old girl who explores the world through the prism of her perception. She does not know about many things, but she can feel and see the most important ones. In this chapter, readers get acquainted with Atticus, one of the key characters of the novel. He is a lawyer. It is known that in the 1930s, the courts were not fair and lawyers were subject to the influence of the society. However, Atticus wants to prove the opposite. He has to protect a dark-skinned guy who was illegally accused. There will be a lot of difficulties and dangers on his way, about which readers will learn from the following chapters of the book. The images of Atticus and his daughter have much in common. On the one hand, he is an adult educated person, and she is a little girl who has just started going to school. Nevertheless, they have the same perception of life and a common desire for justice. Children see the world as it is, without the influence of propaganda and prejudice. This is also the consciousness of Atticus. He does not pay attention to gossip and preconceptions. The lawyer proves his position and believes that justice will prevail. The main characters of the book are the symbols of the eternal struggle for truth.